Howard Schultz is the latest person to suffer from Hero Fatigue Syndrome. The once darling of the left for his liberal policies at Starbucks is now in the process of being destroyed and the company he built along with it. Hero Fatigue Syndrome was a term I coined back in the day when Captain Sullenberger heroically landed that plane in the Hudson River. There have been other iterations of my theory, but it started off with these words. “Watching the crew of US Airways Flight 1549 make their rounds on all the different TV shows and stand on all those different platforms created by selfish politicians trying to get in on the party of hero-hood makes me wonder how tiring that process must be for these nice people. One moment on 60 Minutes, the next on the CBS Morning Show and later on the same day receiving the key to New York City with the mayor. Quite the hero marathon to get through for any normal person. However, our American Heroes are anything but normal. Or are they? Maybe normal is just what they really are. Maybe we should realize that when we bestow this hero mantra upon people who in the end might just be as fallible as the next guy, things could go wrong. 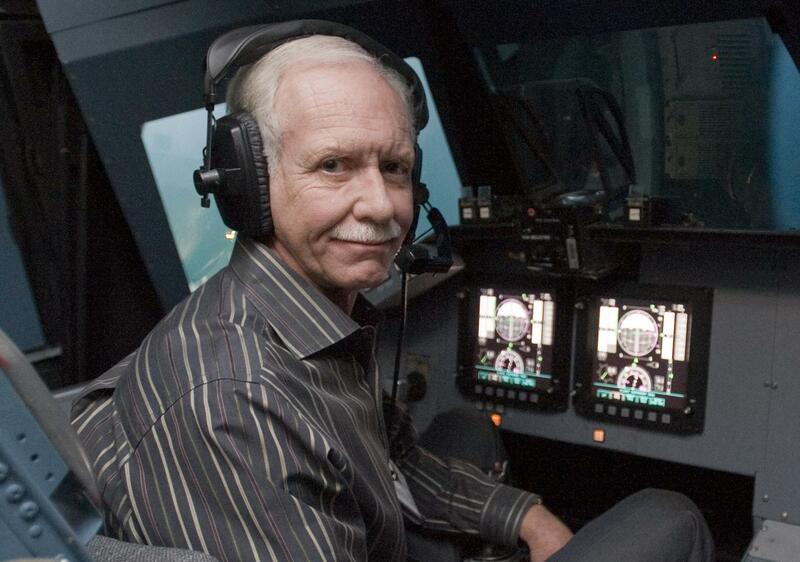 Captain Sullenberger clearly grabbed our attention and has been quickly thrust into the American realm of hero worship for obvious reasons. His cool demeanor under incredible pressure reminds us that America, as always, produces people who carry the water for the rest of us when the well is dry. His modesty was refreshing and the fact that at first, he was reluctant to say many words on this, acting like, “Hey, I just did my job” was something we respected. Later, Captain Sullenberger said he was aware that America is in a funk and needed some good news and he wasn’t going to take that away from us now when we needed it so bad as a country. Let’s just hope the captain does not stay in the limelight too long. Someone needs to tell him that America has made a hobby of building people up just to break them down later. If the captain has any skeletons in his closet or any unpaid taxes or even some nanny problem, he better get off the hero stage as soon as possible. That is one man I wouldn’t want to see end up in the hero graveyard. The teardown is almost unavoidable when we get tired of our worship of these talented people. After all, who do they think they are being some famous hero when we still have to go to work and pay our bills. We’ll put Michael Phelps on the cover of a Wheaties’s box smoking a bong if we feel like it. They’re our heroes and we’ll do whatever we want with them. After all, it is never our fault when our heroes get torn down, they did it, not us. We are just innocent Americans minding our own business when these heroes came along. Their takedown has nothing to do with us. Howard Schultz is now going through the “takedown” stage of Hero Fatigue Syndrome. The reason why he and his company will be destroyed is because the progressive left has already chosen their favorite for the 2020 Election to take on Trump. Their pick is Kamala Harris, and anything or anyone that gets in their way will feel the wrath of the extreme left. They will do anything to protect Kamala, even tearing down one of their own in Tulsi Gabbard. “America’s beloved heroes Captain Richard Phillips from pirate fame and Captain Chesley Sullenberger or “Sully” as we came to know him, just recently hit the lottery with a couple of book deals. On the surface, my first reaction is, “Good for them!” These are two men whose valor reminds us of the good part of America. If anyone one deserves a nice paycheck, it’s these two heroes. Below the surface, I can’t help but feel sad that our heroes cash in and turn heroism into some financial windfall. It almost weakens the stature of their selfless actions. I want to believe that my heroes are just people who do things out of bravery with gravitas. The thought of them driving to their local banks with a smile on their face and depositing huge sums of money in their bank accounts kinda shaves a little off the top of the heroism for me. Now I’m not a hypocrite or some holy roller. If I were in their shoes, I’d take the money. However, I want to believe my heroes are better than most of us. I know they are just regular people who could never turn down the financial security for them and their families. Still, it must be said that by accepting the money and prolonging the fame, it does fall short of our greatest aspirations. It leaves a “tiny” stain on the memory of these two men and their actions. Clearly, heroes have the integrity to even perform their acts but afterward, we in America seem to poison it with our Hero Fatigue Syndrome by building them up and then tearing them down. We muddy these brave acts with voyeurism and cash. We forget that the real true heroes are the ones where we never even know their names. They walk away anonymously and just pay it forward.